It's been ten years since I wrote my first Groundhog Day article and even longer since I made the day something of a personal holiday. Here I am again noting the prognostications of various groundhogs, playing the film Groundhog Day [IMDB] on continuous repeat, reflecting on my journey in life over the past year, and revisiting the thoughts and writings of past Groundhog Days. These traditions are, for the most part, invented for myself by myself. That said, I also appreciate the company of others who choose to celebrate the day that has become uniquely special for me. It's a day that is oddly balanced as a visitation to both the repetitively routine and the excitingly evolving. This past year has been tumultuous for many. Things have shifted in unexpected directions locally, socially, globally, politically, and environmentally. For better or worse, chaos is upon us. And yet, I find myself unafraid in the face of the unknown. I don't mean apathetic when I say unafraid; I mean that I feel ready and energized to experience new challenges. I have grown as a person thanks to the challenges I've experienced in life. Every new mountaintop -- whether literal or metaphorical -- has given me a new perspective. Sure, climbing each mountain was an arduous journey, but the experience has made me better able to climb the next mountain. Every challenge to my resolve has strengthened my willpower, every sadness has taught me new depths, and every smile has brought me new light. My journeys through chaos has become my new order. In the ten years since I started writing each Groundhog Day, a lot has happened in my life. I have had more than a few perspective changing experiences coupled with more than a handful of "significant life events". I've learned well to embrace adventure and to seek challenge for myself both in my mind and the world around me. And yet, every year, I still circle back to a day of familiar routine and tradition. Last year, I wrote about the value of perseverance and action. I expanded on those thoughts in a reflection on time. No matter how you choose to spend the time you have, be present in it. This year, I find myself thinking about the way that chaos has formed me into who I am, but how a personal foundation of meaning has given me purpose. If life feels like a never-ending repetition, as it was for Phil in Groundhog Day, I invite you to find a way to create a little bit of chaos to stimulate fresh perspective. If instead you find yourself surrounded by chaos and turmoil, find a way to stay in the moment. If you panic, you allow the chaos which surrounds you to become a chaos within you. I invite you to thrive in the external storm of chaos while creating meaning and purpose within. My life has been an amazing journey these past ten years; amazing in both its unexpected challenges and unanticipated growth. I expect that life will always present the unexpected and I know the future is unknown. Life is a beautiful mix of chaos and order, routine and the unexpected. 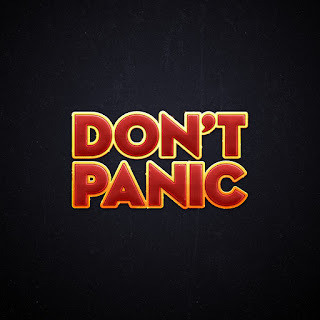 To live is to embrace that beauty and to heed the words of Douglas Adams in "Hitchhiker's Guide to the Galaxy" [Goodreads]... Don't Panic.